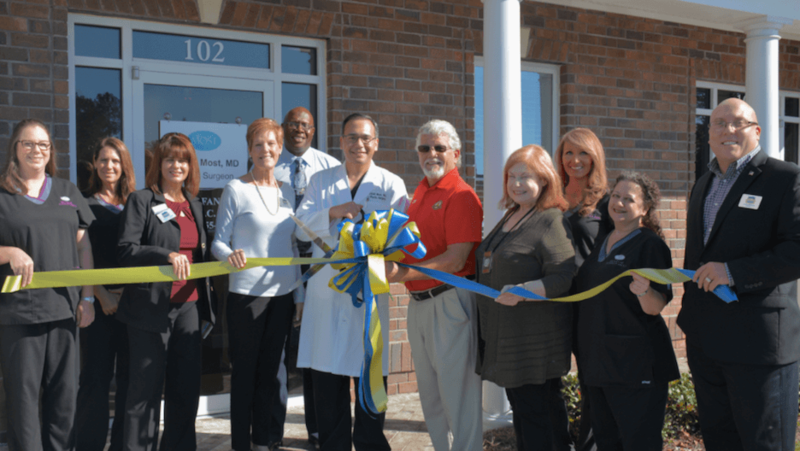 (SAVANNAH, GA) Dr. Daniel Most, a Savannah-based plastic surgeon, cut the ribbon on the Most Plastic and Reconstructive Surgery office in Pooler. This Pooler location at 114 Canal St., Suite 102, in the Savannah Acupuncture and Wellness building, will allow Dr. Most to see patients in the West Chatham area on Wednesdays of every week. Mayor Mike Lamb of Pooler and the Pooler Chamber Board came out in support of Dr. Most’s ribbon-cutting ceremony. This event also celebrated Dr. Most’s fifth anniversary of private practice in the greater Savannah area.